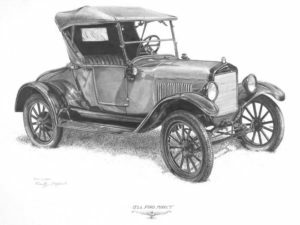 Around 1925 Fred Taber Sr. drove his Model T Ford down the muddy road northeast from Kansas City to Richmond, Missouri, where the car broke down in front of a small vacant building. He subsequently rented the building and started selling his Model T piece by piece along with the spare parts he carried in the back seat. The business prospered and in a few years Taber’s Auto Supply was known throughout the area as the best stocked Auto Supply in the county (also the only Auto Supply in the county). When Taber’s best customer asked for a bottle of Gasket Shellac, and there was no stock he was offered some Step-Tread cement which was available in pint cans (Step-Tread was used to stick rubber treads onto cars running boards). The following day the customer returned to the store and reported that he would never use shellac on cork gaskets again, only Step-Tread cement. 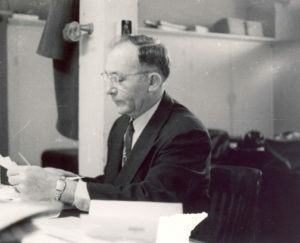 He suggested Taber’s package the product in small bottles with daubers. From that day forward Taber’s has been packaging 2-ounce bottles of Gasket Sealer for the automotive marketplace. 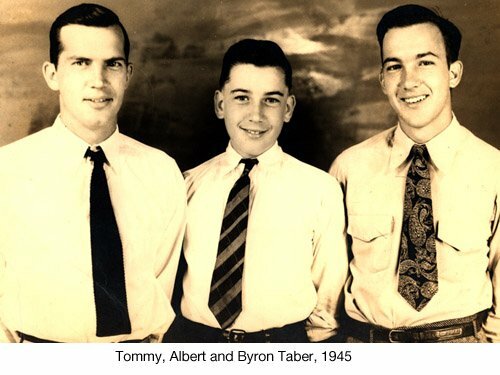 Taber’s Gasket Sealer product line was the main stay of the business and supported the company through many years. Today’s modern engine designs have reduced the need for gaskets and gasket sealers. Current applications include small engine manufactures and rebuilders, drive belt dressing, and pipe thread sealant. Taber’s developed a Tire Sealant Line, in 1975, as a top-quality product to be used in various farm, construction and utility vehicle applications. Tire sealant helps eliminate time consuming and costly tire punctures by sealing small holes in tractor and utility vehicle tires. There are many competitors in the tire sealant business. Taber’s continues to provide one of top quality product Tire Sealant lines for the market place today. The use of tire sealant should continue while farm equipment, construction equipment, utility vehicles, bicycles are used. Taber’s continues to develop a wide variety of products to assist our private label partners with their customer’s needs. Taber’s packages a variety of powder products for the automotive and truck industry. Utilizing state of the art equipment and years of expertise in packaging industrial powders, Taber’s continues to fulfill powder and liquid packaging needs to customers worldwide.